NEWITHUB provides Global online training on advanced technologies like hyperion ARM/ARCS,PBCS etc., with flexible timings and attend free live demo. 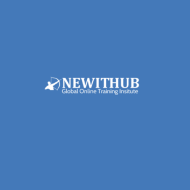 NEWITHUB conducts classes in ARM, Hyperion Essbase and Hyperion Oracle. It is located in JNTU, Kukatpally, Hyderabad. It takes Regular Classes- at the Institute and Online Classes- via online medium.